When used to clean carpets and upholstery, hot water extraction or “steam” cleaning is the best and most accurate method used. This method dislodges dirt and grime from carpet allowing for more of a thorough clean. The steam method uses a combination of a cleaning agent and hot water through high-pressure jets. 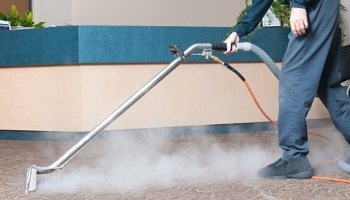 The jets allow the steam to penetrate and dislodge dirt and grime. The carpet cleaner’s high powered vacuum then removes the dirt, as well as any extra water or cleaning agents. We give every square foot of your carpet a good professional clean, however high traffic areas always need more attention so we always concentrate on your high traffic areas to ensure all your carpet looks its best.